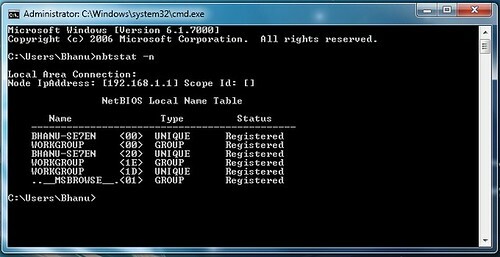 The above is an example for operation using command prompt. ”net view” is one of the netbios command to view the shared resources of the remote computer.Here “59.43.45.212? is an IP address of remote computer that is to be hacked through Netbios. You have to substitute a vlaid IP address in it’s place.If succeeded a list of HARD-DISK DRIVES & PRINTERS are shown.If not an error message is displayed. So repeat the procedure 2 with a different IP address. NOTE: In Examples 1,2 & 3, D:,G: & I: are the network Drive Names that are to be created on your computer to accessremote computer’s hard-disk.